October is almost halfway over, and we're trying to cram in every possible Halloween activity into a month that flies by too quickly! Sensory Play is a favorite in our home! The messier it is, the better. I'm not quite sure why, but kids love to get messy, and I believe they should be allowed to do so. I'm not always a big fan of the cleanup, but these days are fleeting, and I know I'm going to miss the messes all too soon! 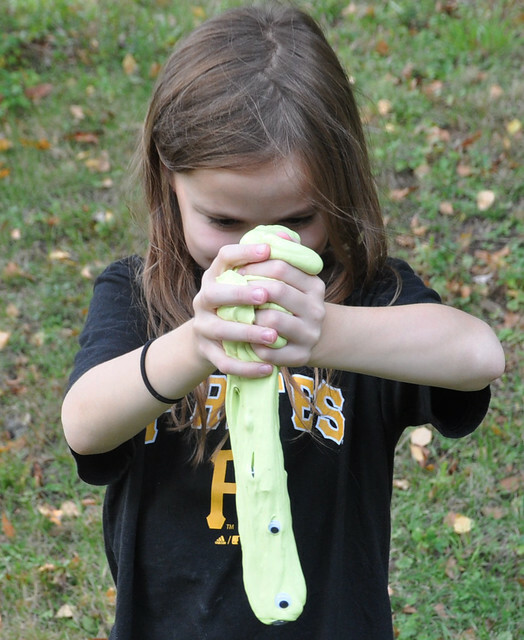 Last week, we whipped up a few batches of slime for some Halloween Sensory Play! 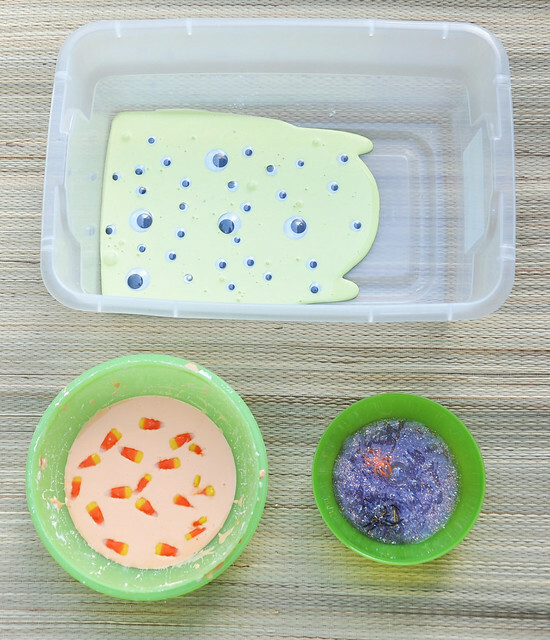 We made Googly Eye Monster Slime, Candy Corn Slime, and Spooky Spider Slime. 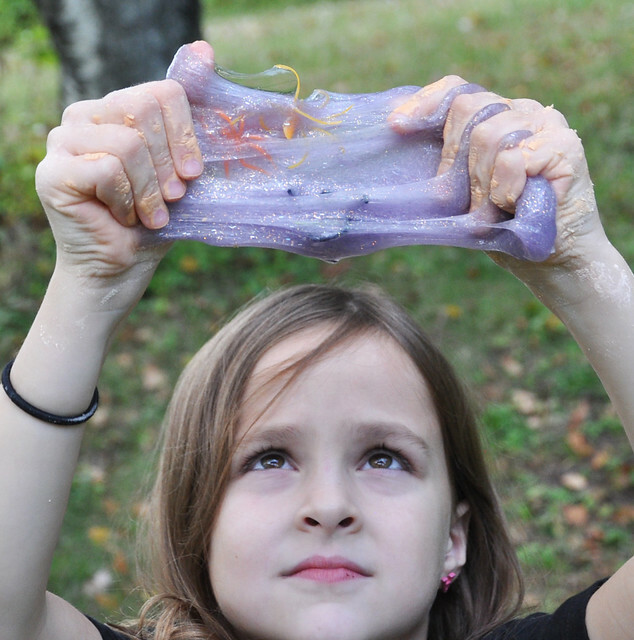 I made this slime for Lexie a few years ago, but Lily didn't remember it. She actually screamed when I showed it to her for the first time and said it was REALLY creepy! 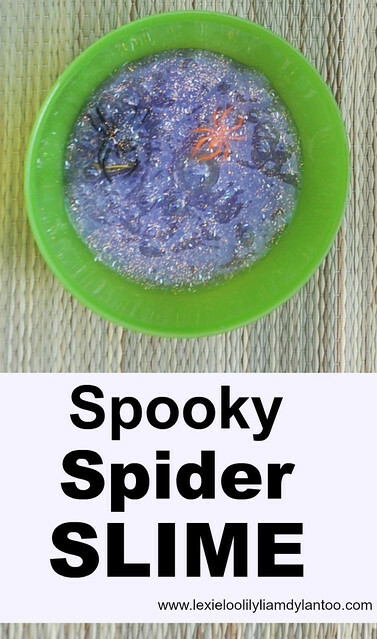 Creepy but FUN! Pour 2 cups cornstarch into a large bowl. Mix in 1 1/2 cups cold water. Add drops of orange food coloring until you reach your desired shade. The girls loved this one! It's more like GOOP, so it feels like a solid until you scoop it up, then it turns into a liquid, and drips out of your hands. 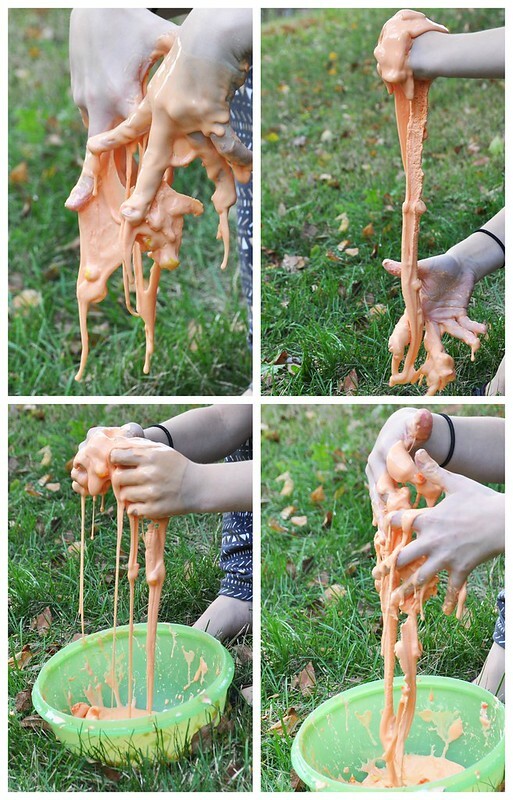 Since the girls were playing with it on a hot day, the candy corn started to melt into the goop, which looked very cool! This one was the messiest, but so much fun!!! After we were done, we put each slime into storage containers, and stored it in the fridge. We usually keep our slime/goop for a few weeks before making a new batch. 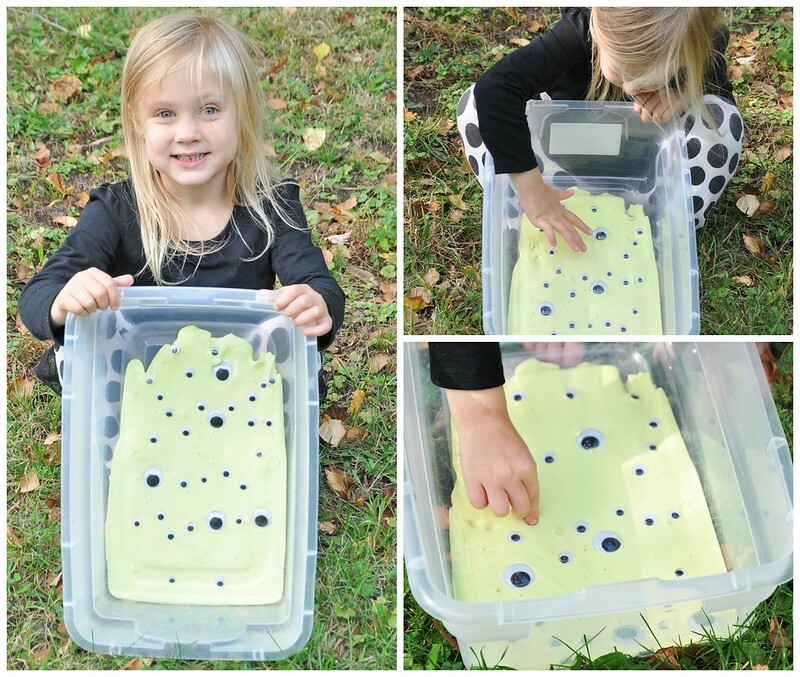 My kids loved all the different Halloween items we added to our typical slime/goop recipes! Halloween Sensory Play was a hit! 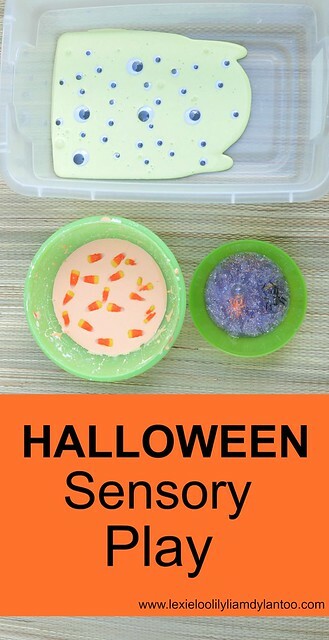 What is your favorite Sensory Play Activity? Definitely! 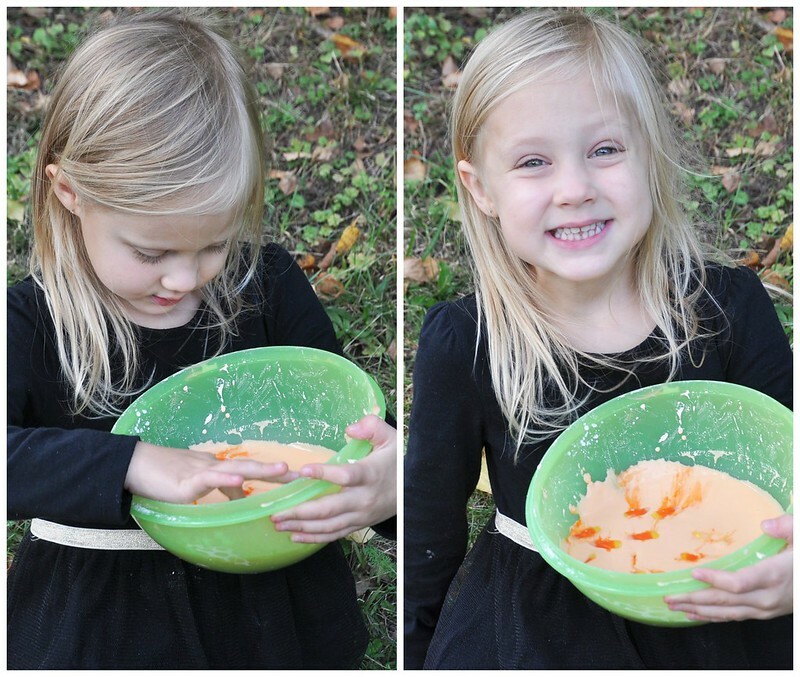 Lily managed to eat a handful of candy corn before we tossed it into the slime! You definitely should! We limit it to outdoors or the sunporch. If the weather isn't good, a plastic tablecloth is key! Oh my goodness, these look so fun! 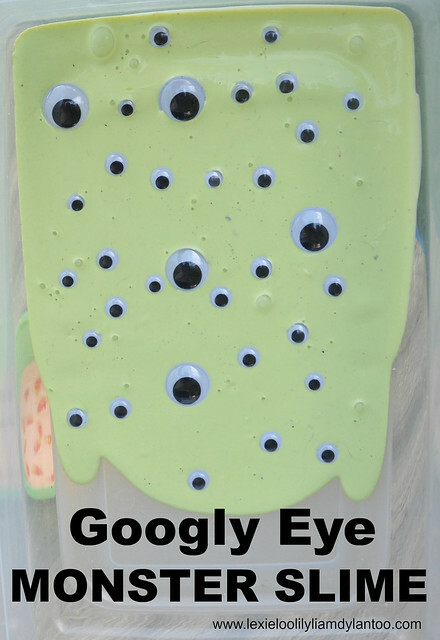 I'm usually not a crafty mom at all, but the goggly eyes goo looks like it has my kids' names written all over it. I'm gonna have to try this for their sakes lol. It's so easy to do! You should try it! What great ideas! 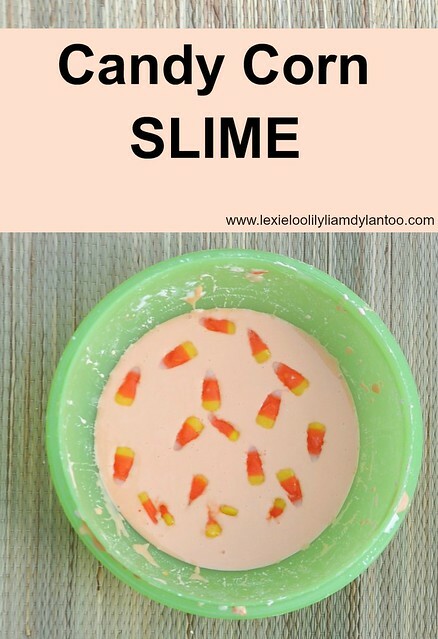 We are on Fall Break now and I think we are going to have to try this! Enjoy your break! It's easy to make and I bet they would love it! 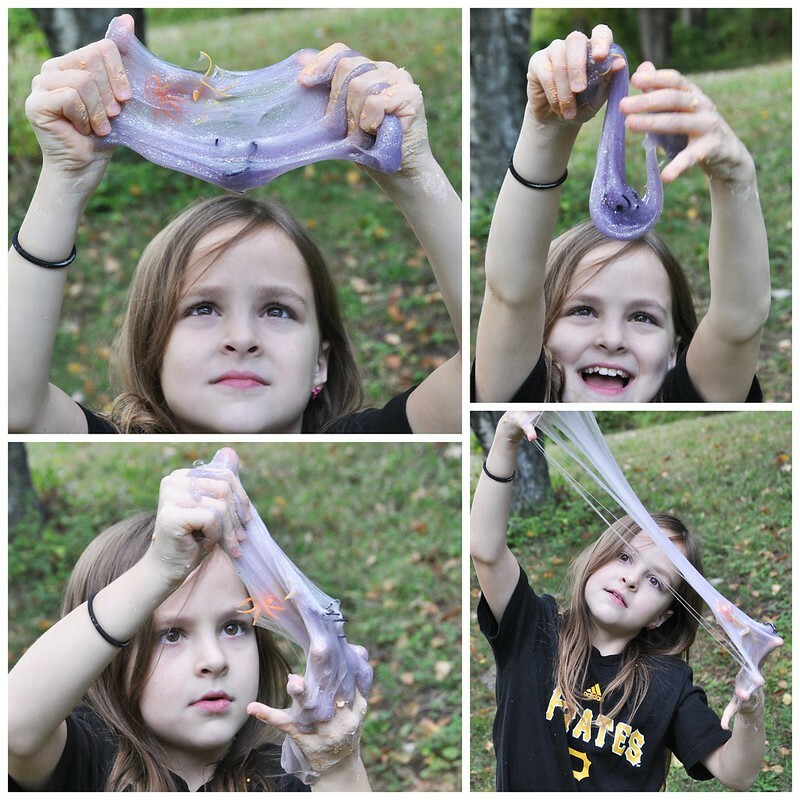 Lily doesn't like "sticky" slime, so she wasn't a fan of the spider slime. Lexie, however, loved it all! Liam is still at the age where he tries to eat! Great idea! 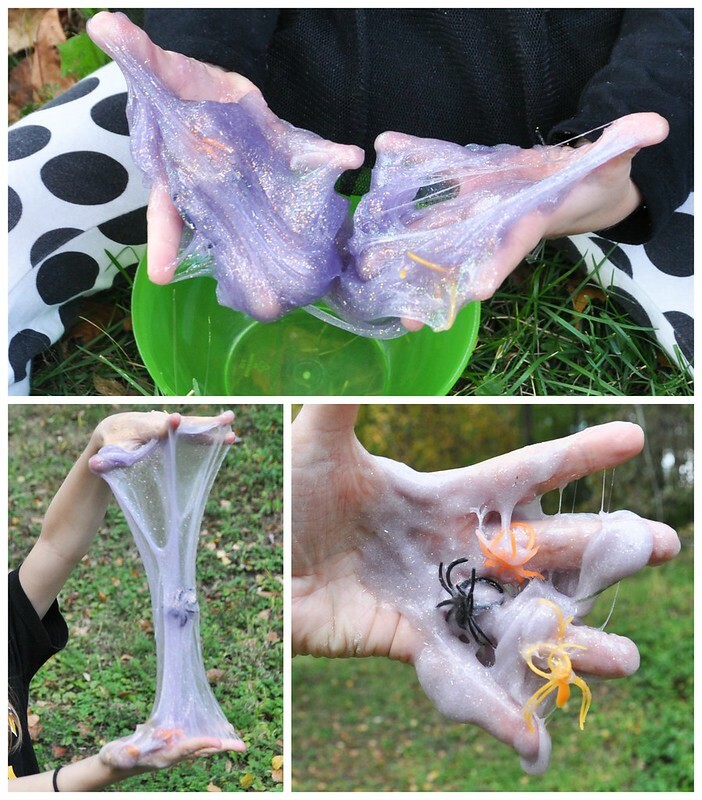 I love the spider slime the most. Awesome! Just awesome ideas, yet again! Thanks for sharing!